While the items listed below may not be as practical as pet trackers, cameras and feeders – they sure can be a lot of fun for you and your pet. 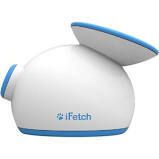 The most popular toy below is probably the least tech-focused – the iFetch automatic ball launcher. While it is an electronic-powered ball launcher, we super-nerds would love to be able to control the launcher from an app on our phone. The CleverPet Hub is the most intriguing toy as it is billed as the world’s first game console for dogs. Watching your dog solve puzzles on a device created by scientists makes you wonder if there is a limit as to what our beloved pets can do. 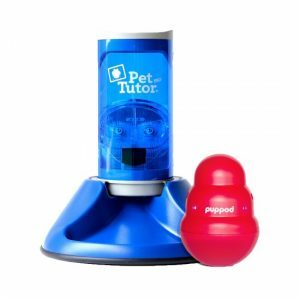 Billed as the first game console for dogs, the CleverPet Hub is a really unique product. The hub has three touchpads that light up and a food dispenser which form the basis for a series of puzzles designed to challenge your dog. You can track progress and change the puzzles using an app connected to the hub. 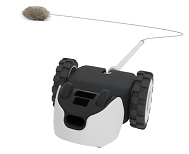 A remote controlled companion ball that is controlled from your smart phone. Features include a built-in camera, laser, two-way audio and an auto-play mode. 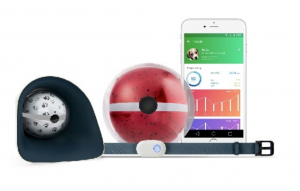 Also, can be combined with a smart collar to track and monitor your pet’s activity. A toy that you can maneuver around a room using an app on your smart phone. Comes with a variety of tail attachments to drive your cat crazy. Crowdsourced toy that will be a smart ball containing a camera. Has been under development since 2016. 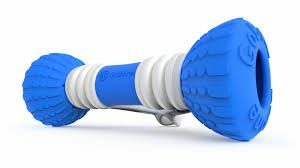 Interactive app-enabled smart bone for dogs. It moves, spins and plays with your dog via controls on the app or in auto-play mode.